The results are in from the biggest beer event in the country and two Sacramento breweries aren't coming home emptied handed. 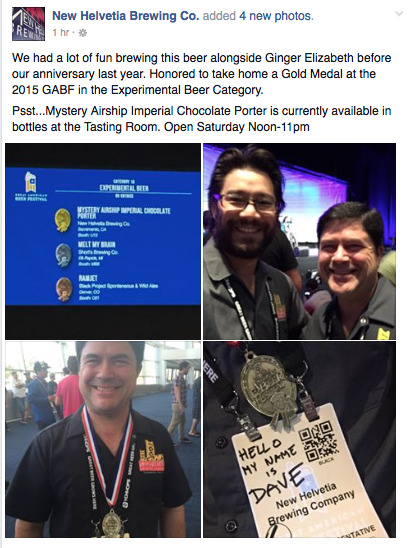 New Helvetia Brewing Company brought home a gold medal for their Mystery Airship Imperial Chocolate Porter in the Experimental Beer category (85 entries). 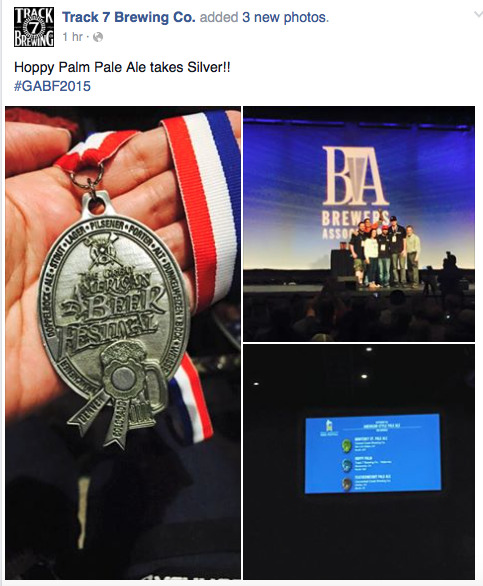 This is back-to-back GABF gold medals for New Helvetia which hasn't happened in Sacramento since Rubicon won in 1988-89 for their IPA.